The TV show you just watched, explained in detail and in depth with Ringer staffers and friends. The Ringer’s Zach Kram and Riley McAtee theorize and prognosticate on what could happen in season 8, episode 2 of ‘Game of Thrones’. They break down the teaser for the upcoming episode (01:22), discuss Daenerys’s dragons in the North (20:49), and talk about the key players ahead of the Battle of Winterfell (33:40). Finally, they give their predictions for what they expect to happen in the upcoming episode (41:39). Eve has some new coworkers and there could be a new female assassin (2:07). Villanelle is still healing from her stab wound and doesn't pick the best place to take refuge (17:15). Plus: our favorite outfits (23:56) and quotes of the week (25:27). With the Season 8 premiere of ‘Game of Thrones’ fast approaching, The Ringer’s Zach Kram and Riley McAtee theorize and prognosticate on what could happen next. They discuss past season premieres (1:32), their theory of the week (18:35), and who the key to the first episode is (30:57). They wrap up with some predictions (38:12). The Ringer's Amanda Dobbins and Juliet Litman explain their love for Freeform's 'The Bold Type' (1:03). Season 3 kicks off with Jane battling the new head of "the dot com" (16:53), Kat dealing with the fall out from her breakup with Adena (31:48), and Sutton trying to decide whether she should move in with her boyfriend Richard. We also award MVP of the episode (33:51) and pick some nits with how the show portrays the media industry (37:00). The Ringer’s Alison Herman and Miles Surrey discuss the fourth episode of ‘Billions’ Season 4: “Overton Window”. They breakdown Chuck’s big speech, the implications it has on his and Wendy’s relationship going forward, and Chuck and Axe’s relatively peaceful alliance (so far). The Season 2 premiere of 'Killing Eve' kicks off just 30 seconds after the finale. Eve is in the middle of a mental breakdown and working on her work-life balance (3:44), Jodie Comer is in the hospital with a stab wound (10:17), and Carolyn is still being Carolyn (21:22). Ahead of the Season 2 premiere of 'Killing Eve,' we explain why the show is so important to us (4:11), talk about our favorite looks (11:10) and one-liners from the season (18:03), and name some characters to watch in Season 2 (27:36). Read Kate's interview with Phoebe De Gaye here. The Ringer’s Alison Herman and Miles Surrey break down the first episode of ‘Billions’ Season 4: “Chucky Rhoades’s Greatest Game.” They discuss Chuck attempting to drum up good will after being ousted as attorney general and the ongoing battle between Axe Capital and Taylor Mason Capital. The Ringer’s Chris Ryan and Jason Concepcion break down the finale of ‘True Detective’ Season 3: “Now Am Found”. The Ringer’s Chris Ryan and Jason Concepcion investigate the seventh episode of ‘True Detective’ Season 3: “The Final Country.” Our detectives break down the plot, examine the characters, and analyze real-life crimes that resemble the one on the show. With one episode remaining, Chris and Jason detail the questions that are still unanswered and give their theories on what we can expect for the season finale. The Ringer’s Alison Herman and Claire McNear analyze the kidnappings, interviews, and most unbelievable moments of ‘Abducted in Plain Sight,’ the latest true-crime documentary from Netflix. The Ringer’s Chris Ryan and Jason Concepcion investigate the sixth episode of ‘True Detective’ Season 3: “Hunters in the Dark.” Our detectives break down the plot, examine the characters, and analyze the context around the show’s time period. With only two episodes remaining, Chris and Jason detail the questions that are still unanswered and give their theories on what we can expect for the final two episodes. The Ringer’s Chris Ryan and Jason Concepcion investigate the fifth episode of ‘True Detective’ Season 3: “If You Have Ghosts.” Our detectives break down the plot, examine the characters, and analyze the context around the show’s time period. Chris and Jason further explore the real-life crimes that resemble the crime happening on the show. Finally, with the release of the teaser trailer for the upcoming episodes of the season, our detectives fully dive into conspiracy corner to figure out how the rest of the show might play out. The Ringer’s Chris Ryan and Jason Concepcion investigate the fourth episode of ‘True Detective’ Season 3: “The Hour and the Day.” Our detectives break down the plot, examine the characters, and analyze the context around the show’s time period. Chris and Jason further explore the real-life crimes that resemble the crime happening on the show. Finally, our detectives head to the conspiracy corner where they break down the theories surrounding the show. The Ringer’s Chris Ryan and Jason Concepcion investigate the third episode of ‘True Detective’ Season 3: “The Big Never.” Our detectives break down the plot, examine the characters, and analyze the context around the show’s time period. Chris and Jason further explore the real-life crimes that resemble the crime happening on the show. At the end, they dive into some theories surrounding the case. Our detectives break down the plot, examine the characters, and analyze the context. Is Season 3 part of the Nic Pizzolatto expanded universe? In the debut of our ‘True Detective’ aftershow, our detectives break down the plot, examine the characters, and analyze the context. Is Season 3 somehow connected to Season 1? Ringer staff writers Micah Peters and Alison Herman are joined by comedian and writer Travon Free to break down the Season 3 premiere of ‘Insecure.’ The trio hand out their awards for the episode’s worst decision (1:35), best music cue (8:00), most and least valuable players (15:00), and the most clueless white person (28:30). Ringer editor-in-chief Sean Fennessey sits down with staff writer Justin Charity to discuss the jarring events of the season's final episode (1:00), its most lasting moments (17:30), and who should be crowned the winner of the episode (21:20). Then, Fennessey is joined by an array of Ringer staffers to debate who deserves the MVP award for the first season (24:30). In honor of The Ringer's list of 100 best TV episodes of the 21st century, Amanda Dobbins, Shea Serrano, and Jason Gallagher discuss this episode's MVPs (10:03), the most iconic moment (13:57), and Shea's new book, 'Conference Room, Five Minutes' (27:43). What’s the Difference Between a Great TV Episode and a Great TV Moment? In honor of The Ringer’s list of 100 best TV episodes of the 21st century, Sean Fennessey, Amanda Dobbins, and Andy Greenwald discuss why “The Suitcase” was picked over other episodes of ‘Mad Men’ (2:27), the themes that make it so great (15:33), and the episode’s iconic quote (23:16). In honor of The Ringer’s list of 100 best TV episodes of the 21st century, Juliet Litman, Chris Ryan, and David Shoemaker revisit “The Constant” from the series ‘Lost.’ They discuss why this episode made the list (8:48), the lost art of fitting plot into an episode interrupted by commercials (30:34), and the lasting impact of ‘Lost’ (43:35). The Ringer’s Chris Ryan, Jason Concepcion, and Katie Baker discuss which character won the episode (1:00) and how we saw a different side of the Roy family (18:45). Then they give their predictions for the finale (22:45) and more. The Ringer’s Mallory Rubin, Sean Fennessey, and Alison Herman get together over a foosball table and some red wine to celebrate the Season 3 finale of ‘Billions.’ They talk about Chuck’s downfall (6:54), the way Connerty and Taylor are becoming their former mentors (19:16), and their predictions for Season 4 (42:59). It’s comp day at Axe Capital! And also the second-to-last episode of the third season of 'Billions.' The Ringer’s Sean Fennessey and Mallory Rubin discuss Chuck Sr.’s sage advice to Taiga (4:54), Salt Bae’s cameo (40:08), and what the future of the series might look like (50:11). The Ringer’s Alison Herman and Miles Surrey connect to discuss that Ben Kim elevator scene (3:43), comparisons between Jock Jeffcoat and Rex Tillerson (9:53), and Maria Sharapova’s cameo (25:50). The Ringer's Alison Herman and Miles Surrey discuss the introduction of John Malkovich's character, Russian oligarch Grigor Andolov (3:05); how art imitates life through Jock Jeffcoat (14:!3); and how Axe and Taylor's relationship continues to evolve (25:27). The Ringer’s Alison Herman and Chris Almeida link up to talk about Ari Spyros’s cringiest moments of the episode (17:06), the tense relationship between Axe and Taylor (10:42), and their MVPs and LVPs of the week (35:32). 'Atlanta,' S2E11: "Crabs in a Barrel"
The Ringer's Amanda Dobbins, Alison Herman, and Micah Peters discuss the Season 2 finale of 'Atlanta' (4:17), the highlights of this season (24:13), and aspects of the season they wish had been different (37:49). The Ringer's Mallory Rubin and Alison Herman discuss this Very Chuck Episode (5:00), Wendy's unsubtle seduction technique (29:17), and the best pop culture references of the week (45:56). The Ringer's Amanda Dobbins, Andrew Gruttadaro, and Micah Peters take a trip down memory lane with this throwback episode. They discuss the heartbreaking twist (3:48), the best '90s moment (14:59), and what may be in store during next week's season finale (17:20). 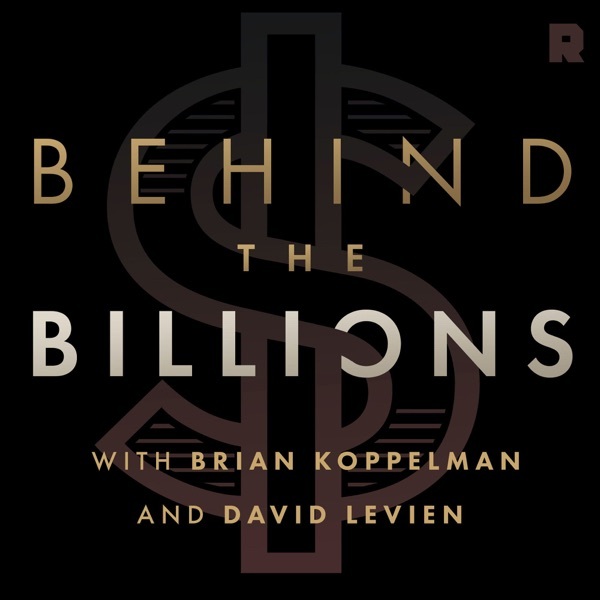 'Billions': S3E6, "The Third Ortolan"
The Ringer's Alison Herman and Miles Surrey discuss the significance of Chuck and Axe being on the same side (5:11), the most scarring food moments of the episode (7:32), and this week's MVPs (17:47). 'Atlanta,' S2E9: "North of the Border"
The Ringer's Amanda Dobbins, Alison Herman, and Justin Charity discuss Pajama Jam (2:30), why Earn and Paper Boy's falling out was inevitable (14:13), and the episode's LVPs (38:33). Subscribe to the 'Westworld: The Recappables' feed here. Don't worry, we will continue our recaps of 'Atlanta' and 'Billions' in this feed! In this episode, David Shoemaker, Chris Ryan, and Danny Heifetz discuss the Season 2 premiere of 'Westworld' (1:38), the most shocking moment of the episode (22:39), and what new plot theories were created (37:07). The Ringer's Sean Fennessey and Alison Herman discuss learning more about Taylor's life outside of Axe Capital (12:30), the best quotes from this episode (16:38), and why Dollar Bill is the Loser of the Week (26:37). The Ringer's Amanda Dobbins, Andrew Gruttadaro, and Justin Charity discuss Al's emotional journey through the woods (1:00), deer guts (4:32), and Brian Tyree Henry's Emmy-worthy performance (13:12). 'Billions' S3E4: "Hell Of A Ride"
The Ringer's Bill Simmons and Mallory Rubin discuss how terrible Chuck is (1:55), why Taylor isn't as interesting this season (25:47), and the most scarring scene of the week (and maybe the year) featuring Chuck Sr. (37:05). The Ringer's Amanda Dobbins, Micah Peters, and Justin Charity discuss Van's drama-filled trip to Drake's New Year's Eve party (1:04), how we learned Darius is back to normal after last week (6:32), and this week's MVP (19:46). The Ringer's Mallory Rubin and Sean Fennessey break down how Axe is flexing behind the scenes to stay in the game (9:48), this week's MVPs (24:06), and the line of the episode (42:06). The Ringer's Amanda Dobbins, Alison Herman, and Victor Luckerson discuss the main themes of this week's wild ride with Darius (1:37), the commentary Donald Glover may have been making about his own career (17:58), and the most unsettling moments of the episode (23:25). The Ringer's Bill Simmons and Mallory Rubin discuss the introduction of the “Winkletech” twins (4:58), how on earth Wags was banned from Little League baseball for life (10:07), what's different about Taylor this season (18:35), and how Lara is still the absolute worst (26:12). The Ringer's Amanda Dobbins, Chris Ryan, and Justin Charity discuss what happens when Al's barber takes him on a wild adventure (1:51), the best hustle of the episode (5:21), and how this season of the show continues to be different from anything else on television (12:40). 'Billions': S3E1 "Tie Goes to the Runner"
The Ringer's Bill Simmons and Mallory Rubin discuss where we left off since last season of 'Billions' (2:13), the most scarring scene of the Season 3 premiere (13:39), Axe's new bachelor lifestyle (21:27), and what they're looking forward to the most in next week's episode (31:58). The Ringer’s Amanda Dobbins, Alison Herman, and Micah Peters take a trip to Oktoberfest with Van and Earn and discuss their extremely awkward relationship conversations (3:47), the most surreal moment of the episode (10:55), and the least valuable player of the week (17:35). 'Atlanta' S2E3: "Money Bag Shawty"
Amanda Dobbins, Alison Herman, and Micah Peters discuss what happens when Earn and Paperboy finally get a major payday (1:42), the crew's failed attempts to stunt (12:51), and what happens when you try to drunkenly race Michael Vick in a parking lot (9:34). The Ringer’s Amanda Dobbins, Hannah Giorgis, and Justin Charity unpack the music industry tropes that pop up when Earn and Paperboy visit a streaming service that definitely isn't Spotify (11:18). They also discuss Tracy’s failed gift card scheme (8:19) and the most awkward robbery they’ve ever seen (18:30). 'Damage Control': Will the Real Donald Glover Please Stand Up? The Ringer's Amanda Dobbins, K. Austin Collins, and Micah Peters discuss the Season 2 premiere of 'Atlanta' and hand out awards for the scenes they can't stop thinking about (4:22), the best guest star (10:40), and, of course, that alligator moment (15:40). The Ringer’s Amanda Dobbins, Alison Herman, and Micah Peters discuss the award-winning first season of ‘Atlanta’ ahead of the Season 2 premiere. They give the award for the best episode (6:00), list their favorite guest stars (17:40) and what they’re looking forward to in Season 2 (32:29), and more. 'The Recappables' is a show that will bring you instant breakdowns of every episode of ‘Atlanta’ Season 2. Hosted by Ringer culture editor Amanda Dobbins and a rotating panel of Ringer staffers. We'll be back every Thursday, starting March 1, with weekly recaps of 'Atlanta' Season 2.